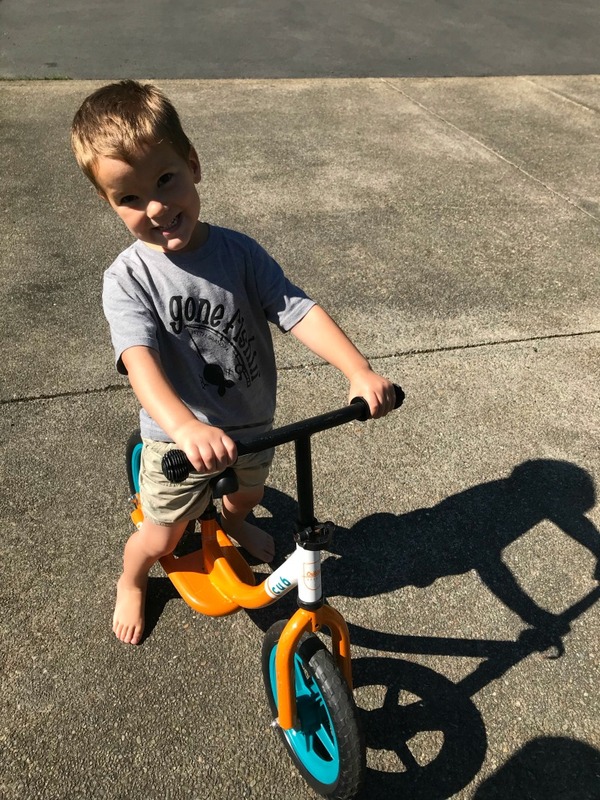 We got our four year old a balance bike a few months ago and he flies around on it. It’s the cutest thing and I know from friends that learning to balance and then pedal works so much better than learning to pedal and then learning to balance. I’m wishing we’d had one of these my older kids were little. Seriously, it’s brilliant! I taught my son (Titus) to read when he was four with a method that taught letter sounds first and then names. It was so much easier than the methods I’d used before with my older kids. I often joke that I’ve learned the writing world backwards. I had a novel accepted for publication before I’d ever heard of critique groups or beta readers. I am just now learning what all the “rules” of writing are. I have only just attended my first writing conference. I didn’t know all the publishers. I had no dream agents or houses. I just had a story to tell and I told it! Now as I am trying to write a new novel I’m finding myself wondering how to do it because suddenly I have readers’ voices in my head and all these new rules and whatnot bouncing around. I almost wish I could go back to just writing the story that is in my heart. What things have you learned backwards? Did it work well for you? And isn’t it funny how sometimes it’s easier to “do” things before you know how they’re “supposed” to be done! For my older kids I used teach your child to read in 100 easy lessons and it worked. For Titus I used sonlights reading program. Basically you learn a letter sound and within a couple days you have three sounds and right away you start putting those three sounds together. It eliminates some of the steps- learn letters, learn sounds, learn to read and you do it all at once. Their books start with just the letters you’ve learned and progress with it. So, so easy. But part of it could be kid and learning style thing. This is so true! Rules are good, but it’s hard to focus on the rules and write. Most writers I’ve encountered say to just write the first draft. Edit the second and third. It’s hard, but ignore the rules if they’re keeping you from writing. Go back when it’s finished. This is great advice and I’d second it. Overthinking a first draft doesn’t work for me. This is what aim hoping I’ll be able to do. It’s so hard to silence all the voices!! !